The digital nomad lifestyle continues this week, as does my unbroken streak of digest Fridays. Today, we packed up our existence from San Diego, where we’d lived the last few months, put everything in the car, drove to Phoenix, and unpacked it all. just like that, in the span of a day, we went from living in a little ocean-side condo to living in a much larger place in the Arizona desert. Of course, this has been pretty tiring. I’m typing this at about 2:30 AM Mountain Standard or Pacific Daylight or whatever timezone I’m in. That makes it probably rise-and-shine time for some of you on the East Coast. Today has been a long day and tomorrow figures to be a tired one. No complaints, though. I love this lifestyle and wouldn’t it trade it for the world (or avoiding a hectic “moving” week every now and then). 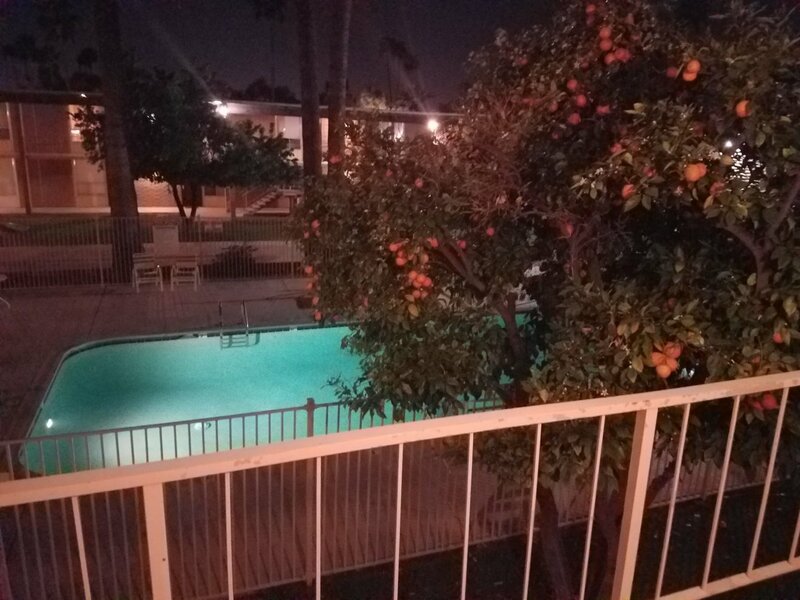 It’s also going to be fun to have this view out my front door for a month: orange tree and pool. So enough about my meandering around the southwest United States. Let’s do some picks. Someone read my post about remote programming jobs and sent me a note about a variety of things. One of them was this conference, Running Remote 2018, which is my pick (in spite of not having attended). It’s got a pretty awesome-looking speaker and it’s a great cause, IMO. I haven’t yet had a chance to try it (will do that in the next week or so), but check this out. It’s a quickstart guide for using the Google Sheets API in .NET. The guide looks pretty well done, thorough, and approachable. Looking forward to giving it a try. If you ever find yourself in San Diego (Ocean Beach, specifically) and you have office needs, I highly recommend the OB Business Center. They’ll do basically anything that those of us lacking an office need (scanning, printing, mailing, faxing, etc), and the customer service is absolutely second to none. Lastly, a plug for somewhere near my new location. We got settled around 10 PM and were starving, but figured our food options would be slim. We found this place in walking distance, Postino, and had a great meal. Their main attraction is a kind of tapas-style bruschetta, and it was as good as it sounds like that might be. If you’re ever in Phoenix, they have a few locations. Check it out. 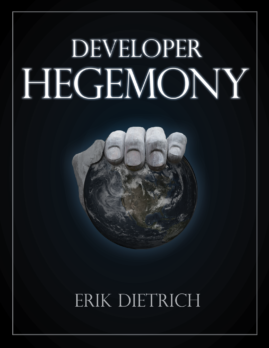 First up, on the NDepend blog, I published a follow-up to my first unit test study. In this one, I started to introduce some (admittedly imperfect) statistical analysis to studying the effects of unit tests on codebases. (We’re getting more refined with each one of these we do, though, so stay tuned). On the Scalyr blog, I did a deep dive into what goes into log analysis. For ASPE, I took a look at the various components of an overall testing strategy. Here’s a fun one. For Rollout, I dusted off my app dev learning chops and taught myself (refreshed my memory) enough about Android development in an emulated environment to write a post. The result is this guide to getting started with feature flags for Android. And, finally, another NDepend post. This one is about the software architecture career path.